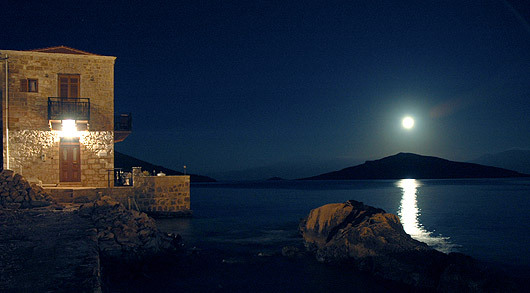 Halki is a beautiful small island very close to Rhodes island, accessible by ferry boats from Rhodes harbour or Kamiros Skala harbour almost daily, its best if you check the ferry schedules before you arrange for your visit there. Why Halki? 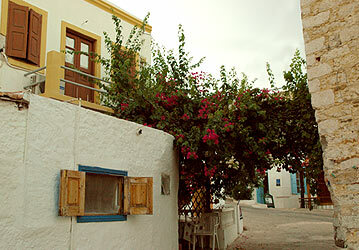 Quiet, serene, traditional, with its own character the island will steal your heart… Very limited use of cars or motorcycles, not allowed within the main village results in its beautiful atmosphere. 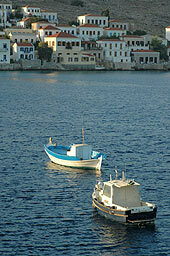 Strict laws in building and business appearance, also ensures the traditional fishing character of the island. The food is exceptional, the resident’s main occupation is fishing so you will always find fresh local fish from the crystal clear and clean waters of the island. 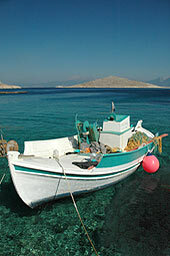 Pricing is also very affordable, since fish is found plenty and there are good transportation routes with Rhodes island. 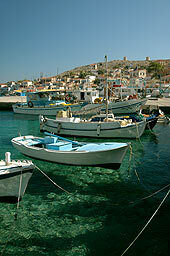 The island of Halki took its name from the copper mines that used to be there. 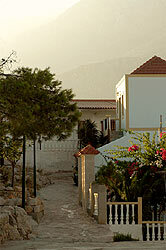 There is not much information about the island's prehistory. We do know though that from the 10th to the 5th century BC it enjoyed some kind of prosperity. In ancient years, it was divided into 30 boroughs and its first dwellers were Pelasgians, Dorians, Carians and Phoenicians. In the 7th century, it passed into the possession of the Arabs, until 825 when they were replaced by the Byzantines. In 1522, it was taken by the Turks and in 1912 by the Italians. 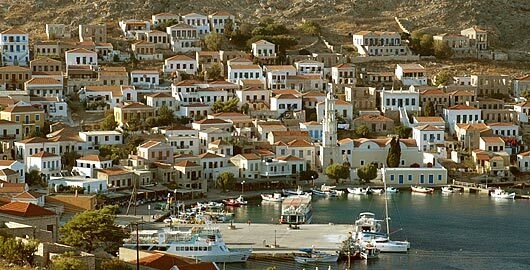 In general, it shared the fate of the rest of the Dodecanese and became part of Greece on 5 March 1948.